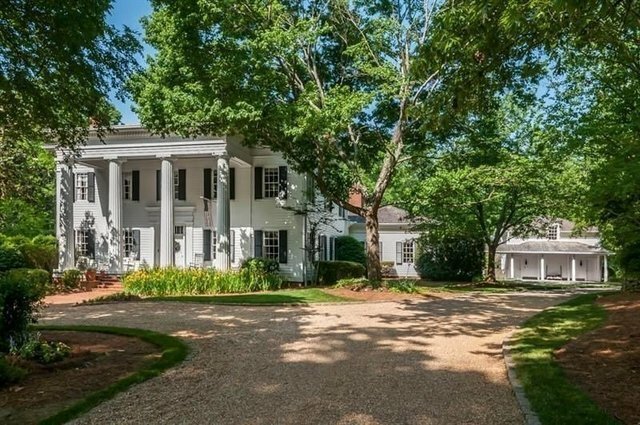 Built in the Greek Revival Architectural Style & designed by John Baxter, this home features classic elements befitting the rich history of Roswell. A gracious center hall, exceptional entertaining spaces, reclaimed heart pine floors & stylish renovations are combined with area conveniences of downtown Roswell. Master suite on the main floor, spacious secondary bedrooms on the upper level and finished terrace level. Beautifully manicured grounds, as well as a pool, carriage house and surrounded by the privacy of 3.69 acres of hardwood trees & Leita Thompson park.